First Impression: Fabulous! Purple! Toccara! Second Impression: Smize! Work your angles, Booboo! Toccara is funny, delightful, and quotable. 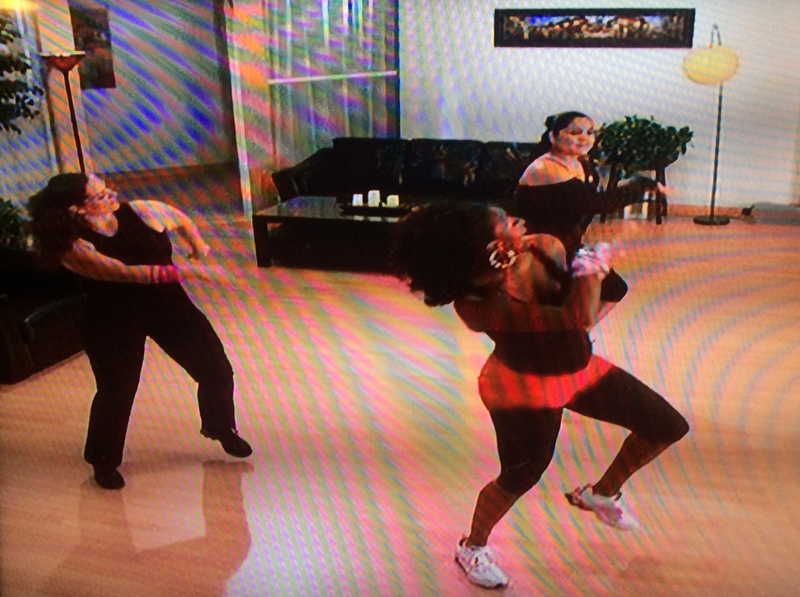 “I’m gonna sculpt your body down, baby!” If we don’t have dumbbells, she instructs us to “run yourself to the kitchen and get two soup cans.” I myself lifted soup cans for my very first review, so I know this is a fitness instructor I can relate to. Occasionally the dog will get up, turn around, and settle back down again, and it gets my undivided attention. I would like more information about this puppy, please. What’s the dog’s name? Does it do tricks? Why is it wearing a dress? We pick up our weights, or soup cans, and start some chest flies. 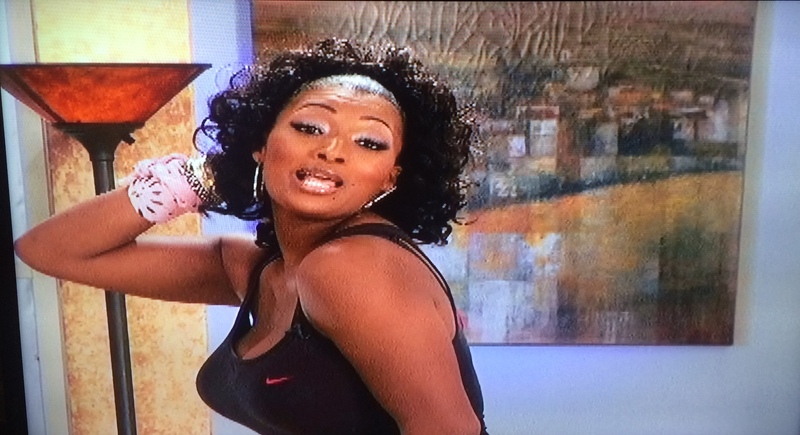 Toccara demonstrates proper soup can technique, reminding us, “You are so fabulous, honey, and don’t let nobody tell you different.” Does she make other exercise videos? Because I need to hear this a lot more often. 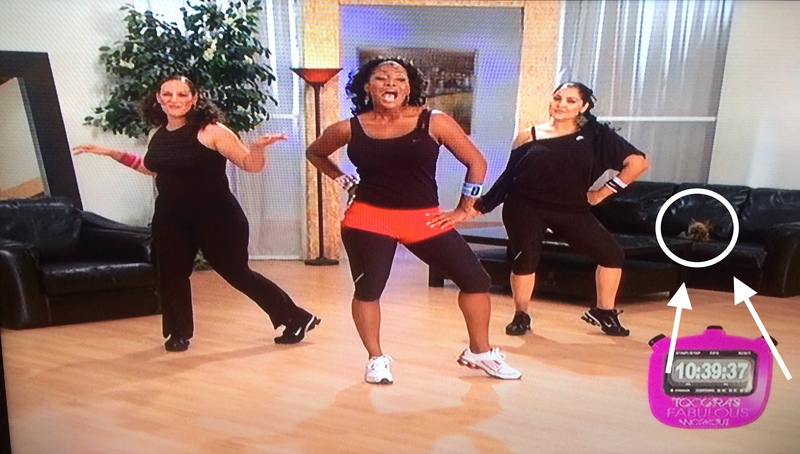 Next, “we gonna work them obliques. That’s your love handles. Your love handles gonna be off the chain, baby!” We sit for Boat Pose and my kitten puts up her paws to knead my love handles, helpfully pointing out that there is still room for improvement. But do I feel fabulous? That’s for sure, Booboo!